Back in the Eighties I was practicing Yang family taijiquan at John Kell’s school in Wimpole Street and I seem to recall a young American taijiquan practitioner / martial artist, who had been training in Japan and China, turning up at the school having been asked by Time Out magazine to authenticate the quality of teaching. His name was Bruce Franzis and my teacher refused to allow him entry. In old school martial arts terms his request was tantamount to asking for a fight and Kells, I believe, simply regarded it as poor etiquette and shut the door in his face. Thirty years on from that incident Bruce Franzis is one of the best known neijia /internal martial arts teachers in the world. 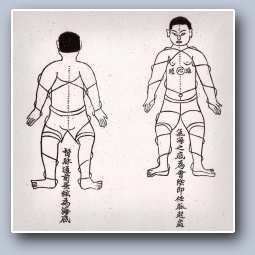 Following on from his numerous books on the fighting arts and qiqong he has made available – through his Energy Arts set-up – dvds on Dragon & Tiger Medical Qigong, Daoist longevity breathing, xing yi quan (Vol 1-3 – a 22 CD set) and Yi Quan Standing Postures (4Cds). Last year he launched his first serious venture into on-line teaching The Baguazhang Mastery Programme which includes 36 DVDs, 17 CDs and 1000+ pages of instruction plus private online forums. While Bruce Franzis maintains a serious schedule of hands on teaching around the world he has continued to make radical inroads into on-line teaching. His latest project The Tai Chi Mastery Program appears to be the most comprehensive program on taiqiquan ever. It contains “over 50 hours of video on all aspects of taichi: martial, health, healing and meditation.” The programme which has just been be released this week contain DVDs, written outlines and online lessons and within a couple of days he has had 5000 subscribers! His journey through the Japanese martial arts to the internal arts of China was dealt with in his excellent book The Power of Internal Martial Arts and Chi. 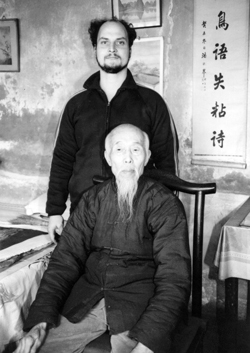 However, if you’d like to further check out this man’s escapades and experiences of being a student with renown masters like Morehei Ueshiba (Aikido), Kenichi Sawai )Yi Quan), Wang Shujin (taijiquan, baguazhang, xing yi quan), Feng Zhiqiang (Hunyuan Chen Taijiquan) and Liu Hung Chieh (taijiquan, baguazhang, xing yi quan), there is an excellent interview in the Journal Of Chinese Martial Arts. I’ve read a couple of Bruce’s books and I have purchased the odd DVD and while I don’t really subscribe to the concept of ” Tai Chi Mastery” online I have to concede that if you live in the styx and you have no access to high level teaching there are definitely worse ways to go. All in all Franzis is consistently prolific and if you subscribe to http://www.energyarts.com/welcome-bruce-frantzis you can get free access to updates & reports like ‘Secrets of Tai Chi’, ‘Dragon & Tiger Qigong’ and a good one for the oncoming winter is ’30 Days to Better Breathing’. Nice! 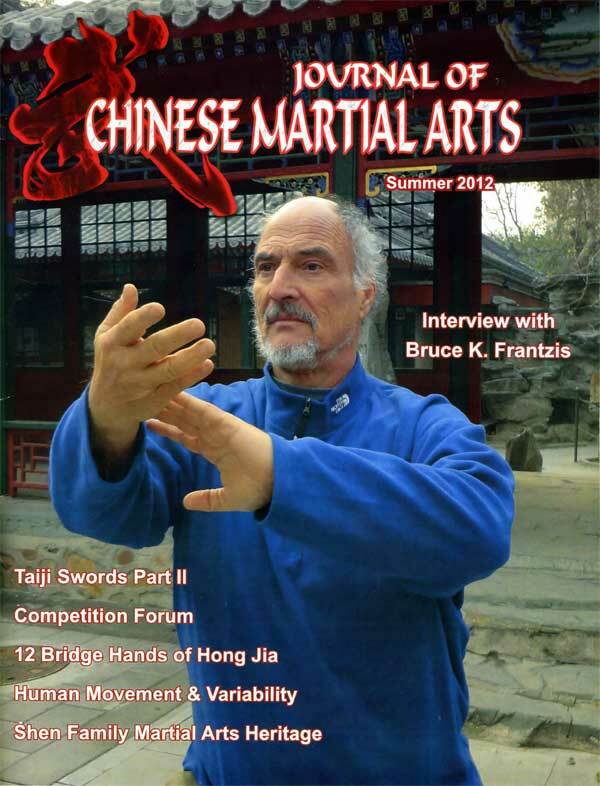 This entry was posted in Wushu and tagged Bruce Franzis, Ebergy Arts, Journal Of Chinese Martial Arts, Liu Hung Chieh, Morihei Ueshiba, Qigong, taijiquan, The Tai Chi Mastery Programme, Wang Shujin, xing yi quan. Bookmark the permalink. Thanks, great post, being in the sticks, I’ll be having a look at this. Whilst being a student of J. Kells, I went to a demonstration by Bruce, and there was no doubt then that he was a powerful guy, very different teacher from John, and I remember one off his assistants being led off the stage bleeding profusely from the nose !!! 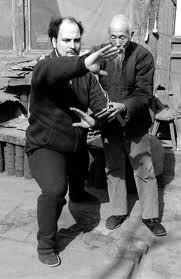 Franzis disrespected John’s teacher Dr Chi while pushing hands so John did not want anything to do with him. He gave John’s school a very bad write up on time out. Ironically a lot of people came to the school because of his review.